I moved to San Francisco in fall of 2010. After spending the first two years of my post-college adult life in the hustle and madness of India, I thought I would be settling in for a period of relative calm and certitude in life. Almost 6 years later, I’ve worked at two companies that allowed my career to soar even as they crashed and burned. I’ve learned so much of work, of love, and of life, my days on earth forever enriched in experiencing all three at their best–and their worst. (I also lived in the same apartment the whole time. Thanks, rent control). Like a self-absorbed startup getting acquired or shut down, I will look back at this, “our incredible journey,” with fondness, regrets, a little wonder, and above all, gratitude. Thank you to the employers who took a chance on me and allowed me to grow. Thank you to the amazing people who made my time in San Francisco so unforgettable. Now I am moving to London, where I will be taking a new job as a Product Manager at Badoo, a dating app company (and owner of Bumble). Truth be told, if you asked me a year ago, this is not how I would have imagined things turning out in my life. But that’s what life does, doesn’t it? It surprises and changes you, sometimes for the worse. But hopefully, in the end, all for the better. As the price war among Android OEMs kicked from high gear into ludicrous gear and anyone with a grasp of how smartphones are built began wondering how OEMs planned on making money, a few brash new entrants to the space had some exciting new ideas. Instead of the tried and true “let’s sell it for more money than it cost us to make it” business model, these bold corporate innovators would give the phone away—sell it at or close to zero profit margin—and make up for it with revenue generated from the user after the sale. Foremost among these was Xiaomi, that onetime darling of investors and commentariat. Their executives promised they would build up a user base of people using their low-cost, no-margin hardware and then make money on selling various “Internet Services” to that user base, and investors ate it up. Xiaomi was hailed as “The Apple of China” and attracted considerable investment at a $45 billion valuation, making it (for a time) the biggest privately held startup in the world. As 2015 draws to a close, Xiaomi has sold a whole lot of phones (although not as many as expected), but what revenue has been generated by these “Internet services”? To date, the much-vaunted “Internet services” from Xiaomi have yet to materialize, and I don’t think they will. As it turns out, OEMs aren’t good at making “Internet services”—and even if they were, I don’t think they are well-placed to do so anyway. If there is a profitable opportunity to be had in the mobile ecosystem, what are the odds that an OEM would beat a quicker, dedicated (and well-funded) 3rd party to the punch? Even Apple (a phone maker with better software competence than most, and more money than all) can’t beat the sheer diversity and quality of dedicated companies focusing on their singular products and services—hence the “Apple crap” folder of Apple apps/services that easy to replace but impossible to remove that you will find on roughly 10 out of 10 iPhones. If even Apple struggles to make apps that you’d want to use for free, imagine how much harder it is to make an app or service so compelling that a user would want to pay Xiaomi money for it. Most OEMs are slowly learning this lesson—witness Sony throwing in the towel on their own “Music Unlimited” app for their Xperia phones and swapping it out for Spotify. And that’s fine for Sony, which at least theoretically plans on selling phones for more than it cost to make them. But what about Xiaomi? What are they going to do to justify their sky-high valuation? Amusingly (tragically?) Xiaomi’s underwear gnomes plan isn’t even a new idea. Among phone makers, you can see it as far back as Nokia’s catastrophically bad CEO (no, not the one you’re thinking of) proclaiming in 2007 that the world’s biggest phone maker was not to be a phone maker, but an “Internet services company” that just happened to be making phones. That, of course, ended with Nokia being a company that makes neither. Of all the things Apple introduced at its latest media event, the one that sticks out to me the most is not any iPhone feature. It’s not Apple TV and it’s certainly not anything to do with the watch. It’s the iPhone payment plan. It’s absolute genius. It’s not because it gives Apple control over a massive supply of second-hand iPhones they could resell at lower prices to lower-income markets and demographics (although it does). No, the real genius of the Apple payment plan is that it increases iPhone lock-in by an order of magnitude. Now, once you go iPhone, you will never leave. Let’s say it’s November 2016. You’ve had your iPhone 6S for one year (with one year to go on your payment plan). The new fall range of smartphones comes out, including (I’m going out on a limb here) the iPhone 7. What are your options for the next year? Who *wouldn’t* sign up for the shiny new iPhone? Option A: keep using your iPhone 6S. Pay $35 a month for the next 12 months. Option B: upgrade to the iPhone 7. Pay $35 a month for the next 12 months. Pretty easy decision, right? If you’re paying the same amount of money over the next 12 months, why not upgrade? Let’s say you want to switch to Android. You have to pay the cost of the Android. And you have to pay Apple the remaining $420 you owe on your old iPhone payment plan. Apple has now erected a $420 moat around leaving Apple. 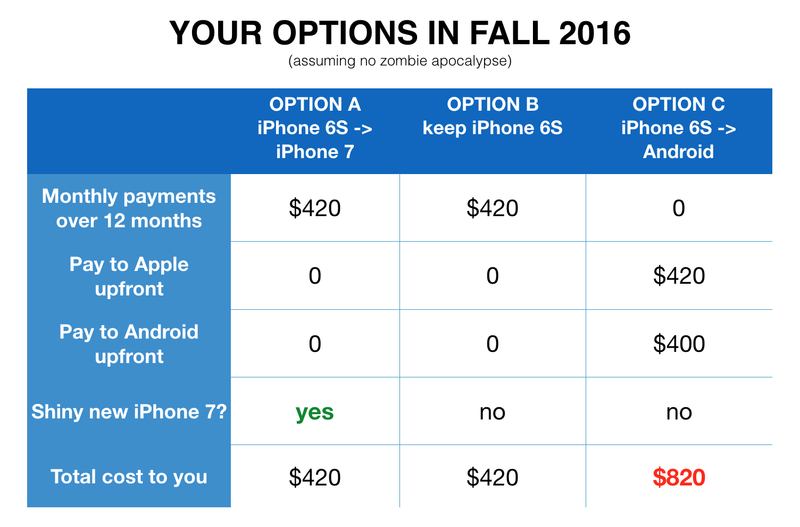 Let that sink in: Once you’re in the Apple payment plan, it is more expensive to go to Android than to stay in iPhone. And that of course is on top of losing iMessage, your apps, the approval of your hipster Apple friends, and whatever other digital ecosystem lock-in Apple has put in place by then. Once you go into the iPhone payment plan, you’ll be using an iPhone and giving Apple money until the day you die. While developers in the early days of smartphone apps might have found that compelling, there has since been a dramatic change in the nature of apps themselves—and not one in favor of Microsoft (or anyone else looking to promote universal apps across desktops and phones). What was this change? The Great Mobile Divergence. First generation apps were mostly small screen derivatives of regular computer experiences. Think apps like tiny office apps, simple games (Trism) and scaled down app versions of websites we all used on our desktops (Yelp, Facebook, Twitter, etc). Almost every bit of functionality of a smartphone was a lesser version of PC capabilities (from RAM to CPU to screen size), limited further still by nascent SDKs that put tight limits on what developers could make their apps do. But it wasn’t merely limitations of technology that doomed early apps to be lesser versions of their desk-bound selves; as developers we were limited by our own imaginations—which had only just begun grappling with the potential of what a smartphone can make possible. In 2008—on Day One of the iPhone SDK—everyone who wanted to make an iPhone app was a desktop developer, and thought like a desktop developer. Consumers were no better: beyond a few obvious use cases, we had yet to consider how else smartphones could work besides as a smaller PC, and had yet to demand it. To paraphrase Henry Ford’s apocryphal quote, we were asking for smaller desktop apps in the same way we once asked for faster horses. For the reason of all these limitations, making a mobile app in early days meant taking things out of your “main” desktop software, not putting exciting new things in—let alone starting with the idea of a mobile experience (or entire business!) first. If Microsoft had been able to roll out Universal Apps then, their mobile OS would almost certainly be doing much better than it is now. In the years that followed, our hardware, software, and imaginations have improved by leaps and bounds. Devices that started out as basically tiny, less capable derivative devices of our computers evolved into an entirely new category of device with a panoply of sensors and radios, backend services (and SDKs that let us exploit them) that made it possible for the developers—ever more skilled and creative with their new smartphone canvases—to create entirely new experiences. Companies went from throwing together their mobile apps after their desktop and web apps to building (and furiously recruiting talent for) dedicated iOS and Android dev teams that are continuously pushing the boundaries of what we think is possible to do with technology. The smartphone didn’t catch up to the PC; rather it transcended the PC, and took the innovation industry’s center of gravity along with it. The paths of mobile and PC had diverged—probably never to meet again so long as they will exist as a meaningful product category. The most interesting developers and companies today aren’t shrinking down desktop experiences. They are building entirely new experiences that wouldn’t make any sense—or even be possible—on a PC. The ability to make software easily for a desktop is of little use for the brave new world of mobile-first (and mobile-only) experiences. Microsoft can’t tout the ease of making a desktop and mobile version of App X simultaneously as a competitive advantage if making a desktop version of App X is not desirable—or even possible. Desktop-first developers will struggle to bring their apps to mobile in a way that adds value. The new generation of mobile-first developers simply won’t bother to bring their software to the desktop, which has just become a more constrained version of what a computing device can be and do. Smartphone apps can be just about anything in 2015, and Microsoft just found a compelling developer value proposition for what apps could be in 2008—before the Great Divergence. Universal apps won’t solve the app problem that has plagued Windows Phone from day one. While a subset of app developers can and will bring their app to the PC and phone, the most interesting ones simply won’t. This isn’t to say that Universal Apps aren’t an impressive technical achievement (they are), or that Windows Phone isn’t a nice OS in and of itself (it is, for the most part). We’d all be better off if the mobile OS universe could be more than just a war between two insanely rich and powerful tech superpowers, and it’s a shame Windows Phone couldn’t make it happen (it’s also a shame they had to take Nokia’s phone business down with them in the process, but I digress). Ironically, Microsoft is standing on firmer ground with a hologram than it is with Windows Phone. Today (April 24 2014) was the last day of Nokia as we knew it. 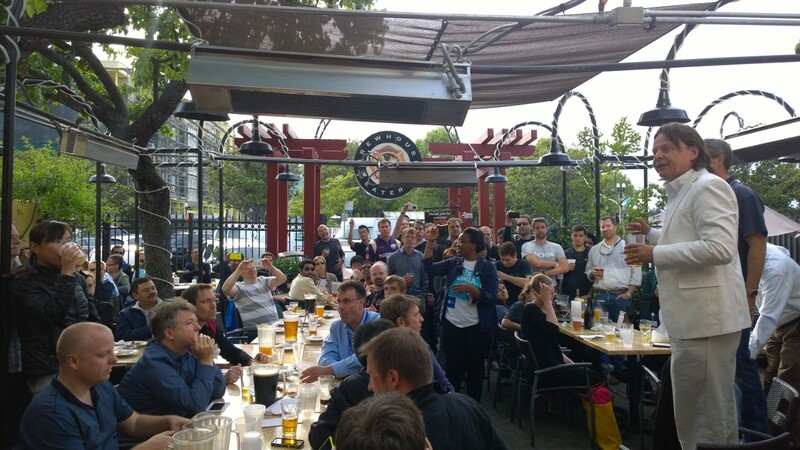 The staff of Nokia’s Silicon Valley office went to the restaurant down the street and had one last celebration together. We had fun and said our goodbyes. On April 25, that Nokia ceases to exist, and in its place are two companies that officially have nothing to do with each other: Microsoft Mobile Oy (where the heart of the company will go) and Nokia Oyj (where I will be). Tomorrow I will still be an employee of Nokia. I will go to my office in Sunnyvale. It will be the same building it was yesterday. It will still say NOKIA on its facade basking in the California sun. But half of the people I’ve worked with will be gone. Up through today we shared everything. Tomorrow we will share nothing but our memories. I am not writing another piece to lay blame for who is responsible for the decline and fall of this iconic company. I am writing to reflect on what Nokia has meant for the world, and for me. Of course, the sheer success that Nokia had in its mission of “connecting people” makes it impossible for me or any one person to say what Nokia meant for the world. The story of Nokia is the story of over a billion human beings whose lives were touched, and even transformed, by being connected to anyone, anywhere, for the very first time. It is the story of a small Nordic country transformed into a global technology powerhouse, of a plucky company that achieved what the smartest management consultants had warned them was impossible, and of thousands of individual triumphs of dedicated employees who made breakthrough after dazzling breakthrough in engineering, logistics, design and marketing, only to outdo themselves soon thereafter. For me, working for Nokia was a wondrous, life-changing experience. Nokia saw potential in me and took me in as a refugee from HP’s webOS debacle. They empowered me to try crazy new ideas that turned into wild successes, and gave me the freedom to help others with theirs. Nokia took me to a dozen countries across four continents, and allowed me to rise from a Developer Community Manager to a Product Marketing Manager to a Product Manager in Nokia CTO’s most ambitious and exciting project. Nokia gave me as much as they could, and in turn I gave them everything I had. 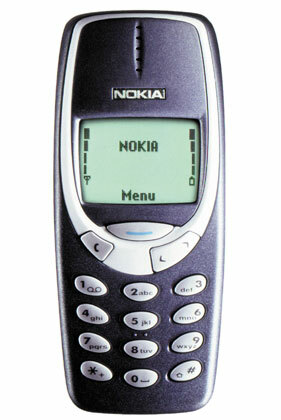 The Nokia that we knew ends today, but its impact on the industry and the world will last for years to come. And the phones it made will last forever. Nokia, you gave me my first gray hairs, sleepless nights, and countless moments of frustration and anguish as I watched you die and couldn’t save you—and the best, most exciting, most illuminating years of my life as I tried. Damn you. And thank you. It should be anything but controversial to state that Android’s greatest strength–its massive distribution across geographies, demographics and devices that vary in price and features from the very top of the market to devices that somehow sell an entire smartphone for less than some people pay for iPhone cases (in short, its diversity)—is also its Achilles heel. The ability of Android to bring the power of personal computing to hundreds of millions and then billions of human beings who may otherwise never have experienced it is a tremendous achievement that should be celebrated. However, this creates a tension within Android: how to continue to drive the specs for low-end Android down, while continuing to drive innovation with cutting-edge hardware on the high-end? Let’s look at this through one particular angle, which happens to be the next frontier in mobile technology innovation: support for Internet of Things devices and wearables—particularly those with a direct (Bluetooth/Bluetooth LE) connection to the phone. My own Android (the brilliant Moto X) has a problem. 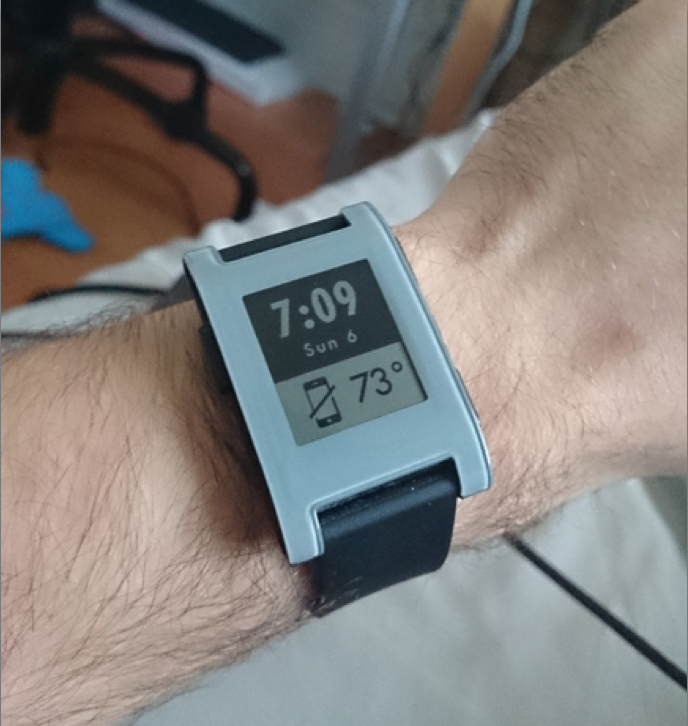 It has had a stormy relationship with my BTLE, “Internet of Things”-era gadgets: my Pebble smartwatch and my Fitbit. At the intersection of chipsets, drivers, OEMs, developers and OS software (rest assured, they all blame each other), the connections between my Moto X and IoT devices are woefully lacking. My Moto X was simply “unsupported” by FitBit when I first bought it, and to this day the Pebble smartwatch can only maintain the flakiest connection with my Moto X, frequently losing the connection and failing to update the weather or whatever other info my Pebble watches. This of course comes on top of the already-frustrating month-long delay between Pebble 2.0 support being released on iPhone and its being released on Android. And again, this isn’t on some off-brand, not-even-Google-Play-certified device I got from a guy in Shenzhen. This is on the Moto X, a flagship Android device (and truly the best Android device I’ve used to date). And it is clear that my device and I are not alone in this. Perusing Google searches and statements from developers and reviewers in the Play Store show there are countless users with various devices having connectivity issues, making the overall experience frustrating for users and a support nightmare for developers who get to enjoy what I call the “1-star Rage Review” problem in which a user whose device has compatibility issues takes it out on the developer and drags their app’s rating through the mud even though the situation is as likely to be the fault of an OEM with a glitchy BT driver. Google, this is a problem. Given that Internet of Things and wearables are among the next big waves in consumer technology innovation, this is something Google should proactively address. HOW, THEN, DO WE FIX IT? Idea 1: don’t do anything. BTLE support will improve over time. While strategic inaction can be a surprisingly underrated plan in some cases, I don’t think this is one of them. 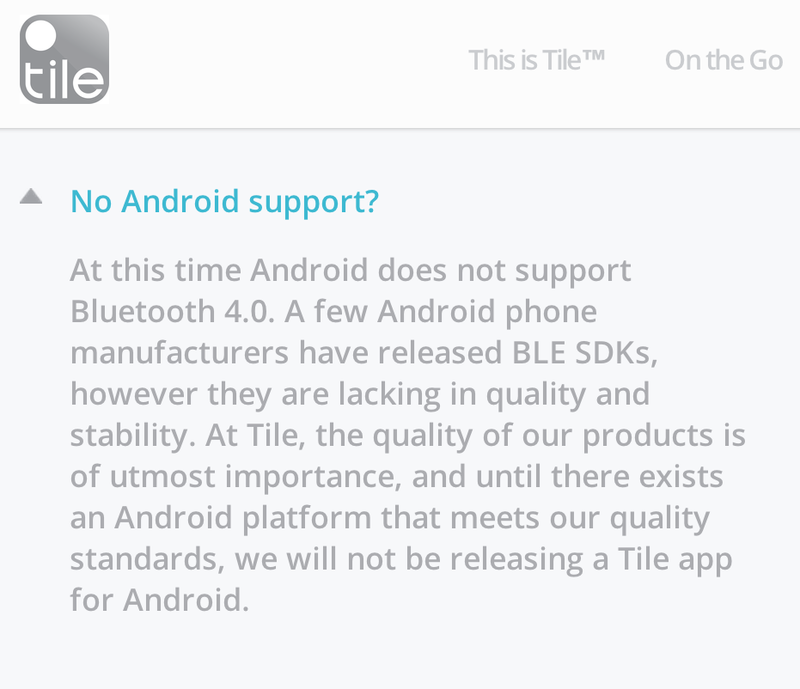 Yes it is true that BTLE support in Android has improved and will continue to improve and grow more widespread across the Android device spectrum. But it is still in a state of “improving” on Android right now, whereas iPhone is working right now. If you were a startup with a new idea for a connected Bluetooth gadget, which platform would you target first? No, Google must be more proactive. Furthermore, even as the BTLE disparity slowly resolves, the next hardware innovation will begin the Cycle of Bad Support all over again (we see it now as Apple moves forward with the M7 motion-sensing co-processor and full API library to support it while support for similar functionality in Android devices is again a piecemeal effort at best between Qualcomm, Google, and OEMs). Idea 2: mandate better support from OEM as a condition of Google Play certification. Google could update the Google Play minimum devices specs to include more robust support for BTLE and other advanced sensors. They could restrict the number of “acceptable” chipsets and rigorously test them to ensure compatibility reaches “it just works” levels. Or they could welcome any chips but require them to pass a vastly more stringent suite of testing requirements. This would backfire because it would either drive device prices up and/or drive OEM partners away. Saying that all Android phones must have flagship-level support for IoT connectivity puts an unreasonable burden on the makers of low-end Androids, who will pass those costs on to end-users. The phones will cost more. If they cost more, fewer will be purchased. That’s bad for everyone. And all this for what gain? Yes the problem for people purchasing Moto Xs, HTC Ones and Galaxy phones would be solved, but for the rest of the world, “better connectivity to my smartwatch and Fitbit” is not really a pressing concern. Google needs a solution that improves the experience for the high-end phone+IoT ecosystem without impeding the growth of the low-end, phone-only ecosystem. Well you knew I was setting you up for this, didn’t you? I suggest Google go for a more pareto-optimal approach. For high-end devices targeting wealthy consumers in developed markets, offer OEMs a supplemental certification program. It could be a narrower band of BTLE chipsets supported, it could be more rigorous testing requirements for any chips, or some other means of ensuring a more reliable and easier to target developer platform. The “1-star Rage Review” problem could also be ameliorated. Imagine if only users who had a PlayThings certified phone could leave reviews on the product. Developers and other potential users could get useful reviews instead of being drowned in a sea of 1-star “IT DOESN’T WORK” rageviews. Better, more useful reviews means happier developers. It also means more users, which in turn means even happier developers who will bring more great new experiences to Android. Moreover, PlayThings as a standard should evolve as the technological frontier moves forward. For example, PlayThings 2014 may focus on BTLE while PlayThings 2015 could add focus on a consistency in motion coprocessors. While Android can never replicate Apple’s simplicity of compatibility (“works with iPhone 4S, 5, 5S”) being able to say “works with PlayThings 2014 devices” is an improvement on the current practice of maintaining lengthy lists of compatible and incompatible devices from dozens of OEMs. Of course, any change in a product/program should be accompanied by an analysis to see if it opens up any new marketing opportunities, and a PlayThings program would open up new marketing opportunities for both consumers and developers. 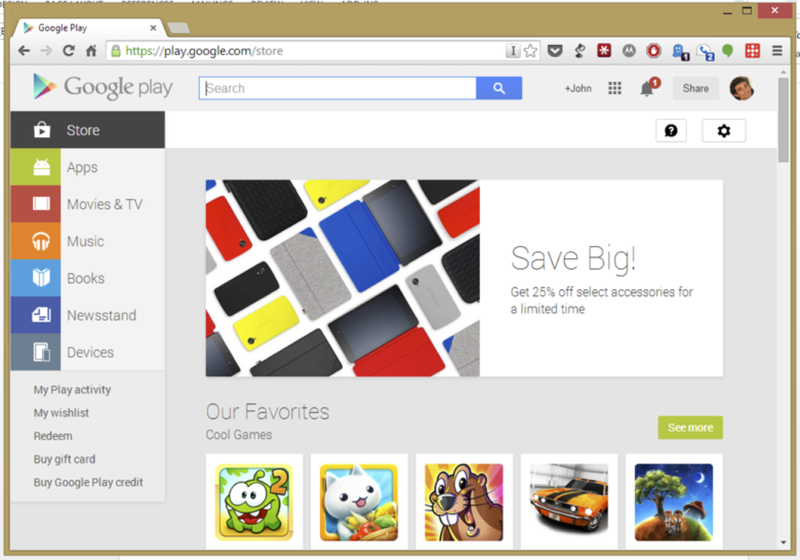 Google could start promoting PlayThings-certified phones, IoT things, and supporting apps in its Play Store. Consumers will benefit from having a visible and trusted place to buy new pieces of hardware to augment their Android experience. With such a showcase, consumers would purchase more new connected devices than they would otherwise, which of course also benefits the 3rd party developers making them and going through the effort to support Android and not just iOS. Why not use this valuable real estate to promote an ecosystem cool Android-compatible gadgets? also creates a new marketing and merchandising opportunity to make targeting Android more lucrative for today’s most cutting-edge hardware developers. Okay, technical elites. You’re the ones who are the most upset over Instagram’s policy changes. You’re also the most technically able to build new things, and wield influence over others (so you say, anyway) to change how we do things.